Director Ridley Scott’s sci-fi pic Prometheus opened early last month as one of the year’s most anticipated films. 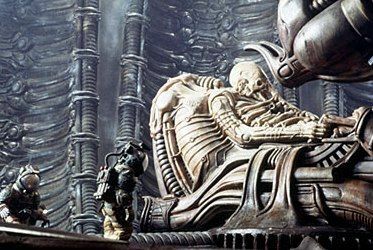 Though some weren’t exactly thrilled with the finished product, the amount of debate over the film’s true meanings, unanswered questions, Alien connections, and common sense-impaired scientists has been immense and unending. 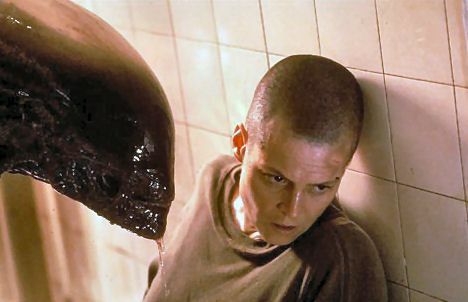 The pic is set to hit Blu-ray later this year, at which point further debate is sure to ensue. An unofficial full list of extras included on the home video release have landed online, and just as Scott previously mentioned to Steve, they include a significant amount of deleted scenes. In addition to 15 minutes of deleted or alternate scenes and the entirety of the film’s viral material (including the full Peter Weyland TED Talk), the disc includes a text document of the first and final draft of the script by Damon Lindelof and Jon Spaihts. 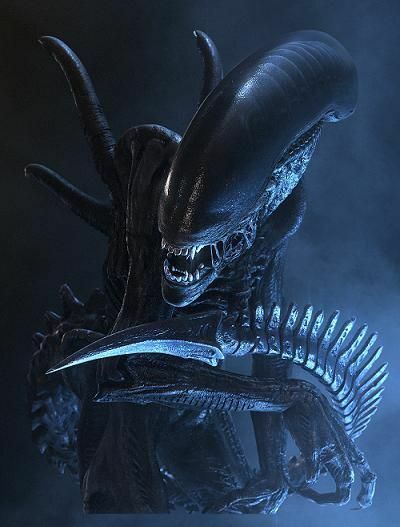 Hit the jump for much more, including details on a 9-disc collection of every Alien film up to and including Prometheus. These extras come courtesy of an Amazon page for the French Evolution: From Alien to Prometheus box set (via Prometheus Forum), which includes the entire Alien saga on nine discs (just in case you never picked up that Alien Anthology Blu-ray set). It’s important to note that this isn’t an official listing, so some of these details may be incorrect or slightly off. Lindelof had previously mentioned something in an interview about recording an audio commentary, so it’s possible that we could see a few more features on the US release. Moreover, Scott told Steve to expect closer to 20 or 30 minutes of deleted scenes, so we could see more on the actual release or on a further release sometime in the future. 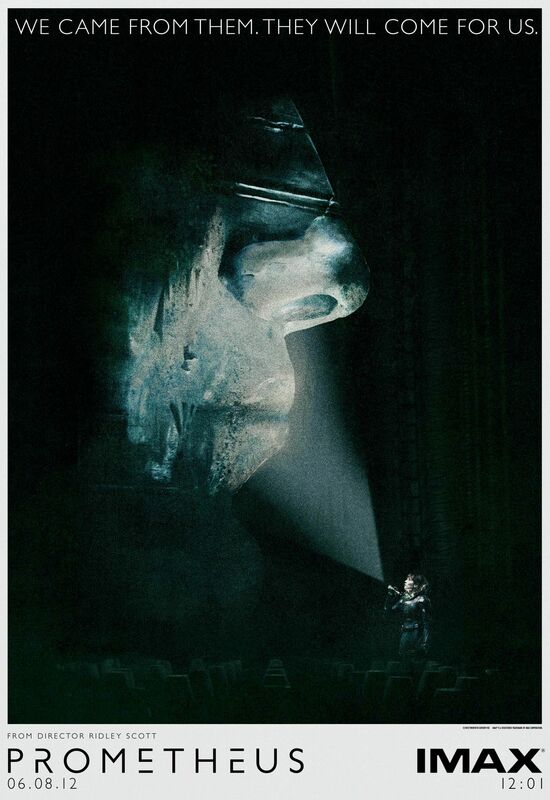 It’s well known that Prometheus began as a straight Alien prequel written by Jon Spaihts, and it wasn’t until Damon Lindelof came in and did a significant rewrite that it became Prometheus: less of an Alien prequel and more of an original sci-fi story. The specific text says that the disc includes the “first and final draft of the script,” but it’s unknown if this means that it includes Spaihts first draft of the developing Alien prequel, or the first full draft of Prometheus that Lindelof submitted. It’s rare for studios to release the actual first drafts of scripts, so I’d be surprised if this “first draft” is significantly different from what the final shooting draft of the script looks like. That said, I’d be absolutely thrilled to take a gander at what Spaihts originally came up with in order to compare this to the final product, so hopefully I’m wrong. Check out the extras below, followed by a full list of what’s on the other discs for Evolution: From Alien to Prometheus. 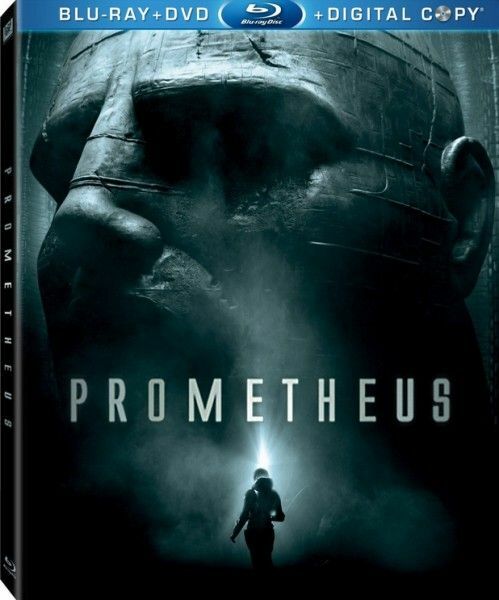 Prometheus is set to hit shelves on October 3rd. 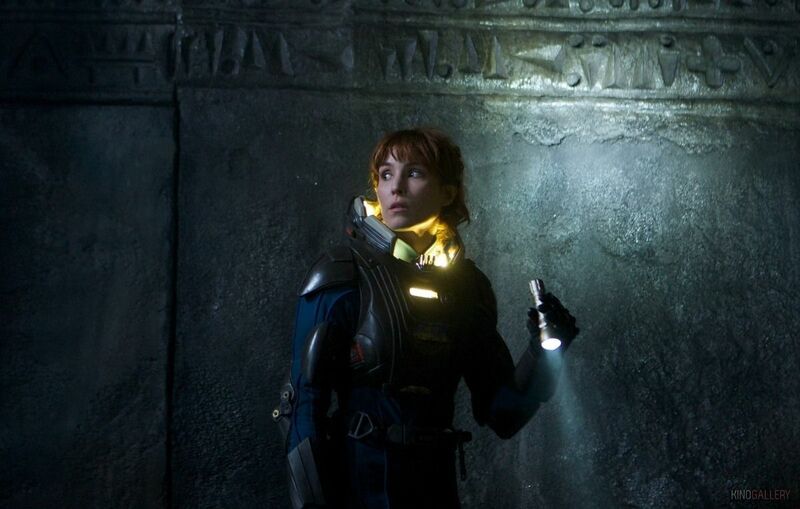 Look for more info on the Prometheus Blu-ray as we get it.